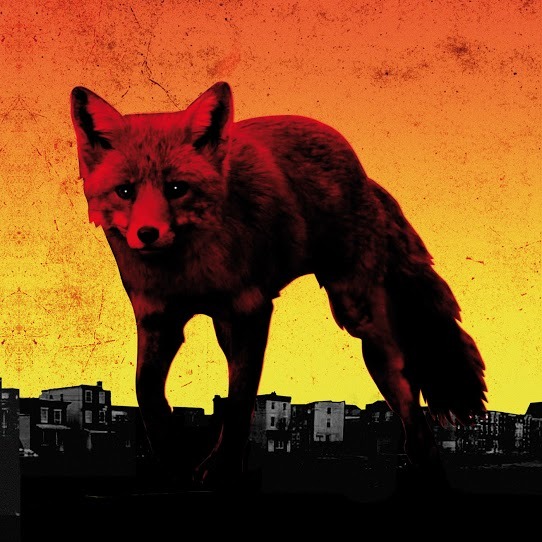 They’ve dropped five snarling, era-defining dance albums, and now UK giants The Prodigy have unleashed the very first taste of their upcoming sixth album, The Day Is My Enemy – with brand new single ‘Nasty’ at radio today! Premiering as Zane Lowe’s Hottest Record in the World on BBC Radio 1 and on triple j’s Breakfast with Matt & Alex show early this morning in Australia, with leader Liam Howlett giving the station an exclusive interview, ‘Nasty’ immediately proves just why The Prodigy have inspired legions of dance acts. Future Music Festival is thrilled to reveal The Prodigy will headline our epic, custom built Futuredome Stage – while we also have the exclusive premiere of the video clip to ‘Nasty’ for you: watch it here. Aussie FMF audiences will be the very first fans in the world to catch Liam Howlett, Keith Flint and Maxim performing new tracks live, when they hit Australia for Future in late February. The Prodigy’s sixth studio album is their first release since 2009’s Invaders Must Die, and in an interview with NME recently the group’s founder Liam Howlett has promised to “wipe the floor” with their “violent sounding” new record. Their hugely anticipated LP will be released in Australia on March 27, 2015, on Take Me To The Hospital/Cooking Vinyl. 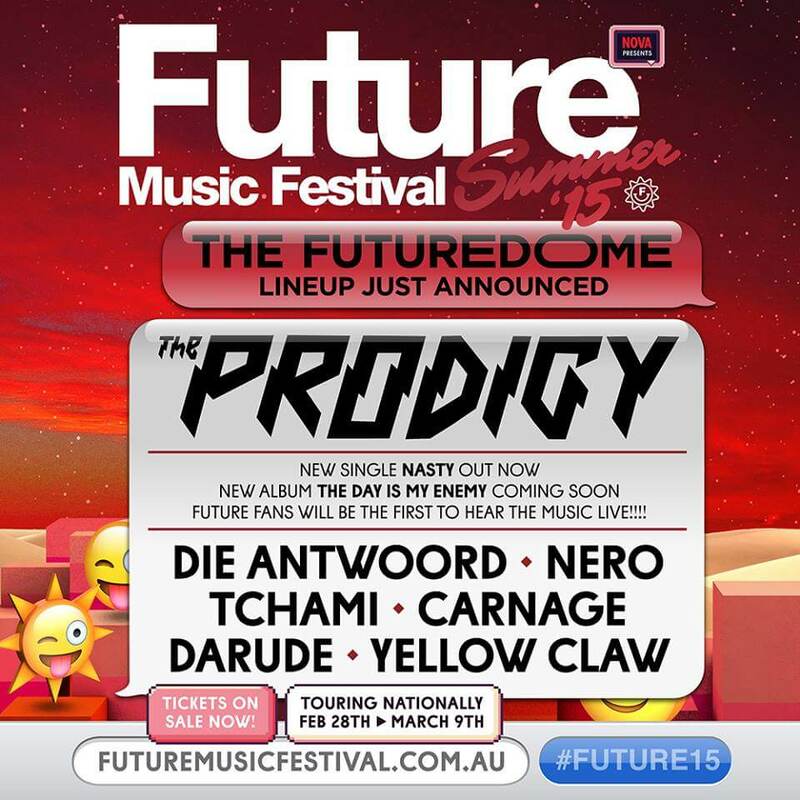 Get ready to Breathe while you dance your socks off for what will be a mind-bending set from The Prodigy on the Futuredome Stage! Also performing on the Futuredome Stage at Future ’15 are some of the best live acts on the FMF bill: South African legends Die Antwoord (watch Ninja and Yo-Landi star in the sci-fi trailer to movie Chappie here); Londoners Nero (currently putting the finishing touches to their brand new single); collar-clad Parisian Tchami(expect a new EP from the French DJ soon); Chipotle fan and DJ Carnage; the one and only Darude(‘Sandstorm’: #dududu! 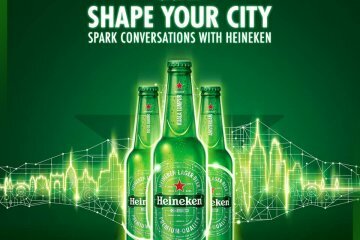 ); Yellow Claw (who recently played Madison Square Garden for New Years’ Eve alongside Skrillex and Diplo); as well as plenty of hot locals in each state – see details below. Keep tuning in for more stage announcements, which will be revealed every day this week bringing you a plethora of exciting surprises!